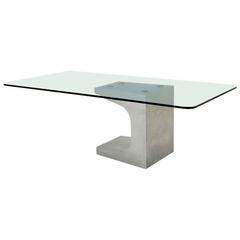 The modern "On" Desk displays the striking curves of Oscar Niemeyer’s architecture, which were transported to the 'On' desk. 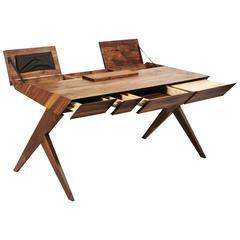 The desk was created in the 1980s, as part of the furnishings for Hotel Sesc in Rio de Janeiro. 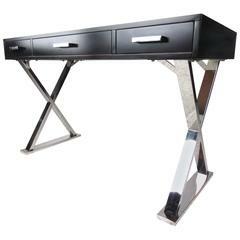 This desk is an official re-edition by us, authorized by Oscar Niemeyer Foundation and it has two metal stamps, that prove authenticity of the piece. 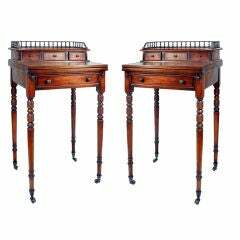 A compact desk or end table with drawer, bold chrome base.